Self discipline: at Kuk Sool, we teach you to set your goals and stick to them. You will learn to draw upon your own inner drive to succeed. 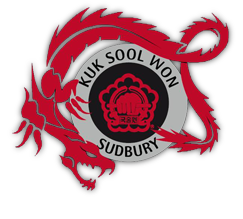 Self Confidence: Kuk Sool develops self-confidence by helping you to reach new and progressively higher goals in the study of of Martial Arts. Self Defence: Kuk Sool will teach you to think rather than panic in potentially dangerous situations. This, combined with teaching the traditional aspects of Korean Martial Arts will make you able to effectively protect yourself and your family. Co-ordination: Kuk Sool exercises the entire body. It develops your balance, agility, poise, dexterity and improves your overall fitness. Fun: Kuk Sool lessons are dynamic and challenging and offer something for everyone. So, if you are athletic or awkward, shy or outgoing, energetic or out-of-shape, Kuk Sool is for some-one just like you. Respect: To treat people and property in a correct manner. Mental Alertness: "A sound mind builds a sound body." A good physical fitness programme will develop an alert mind.